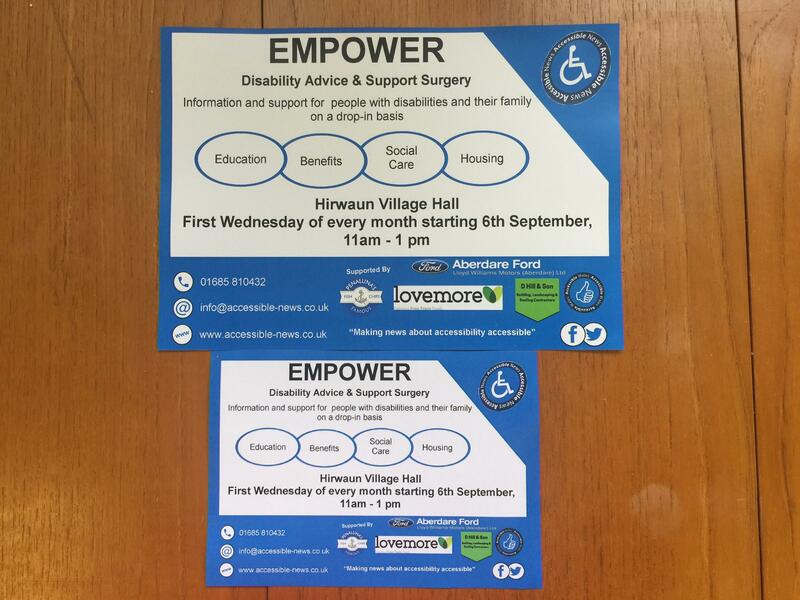 In less than a week we will be launching our new Disability Advice and Support Surgery called Empower. 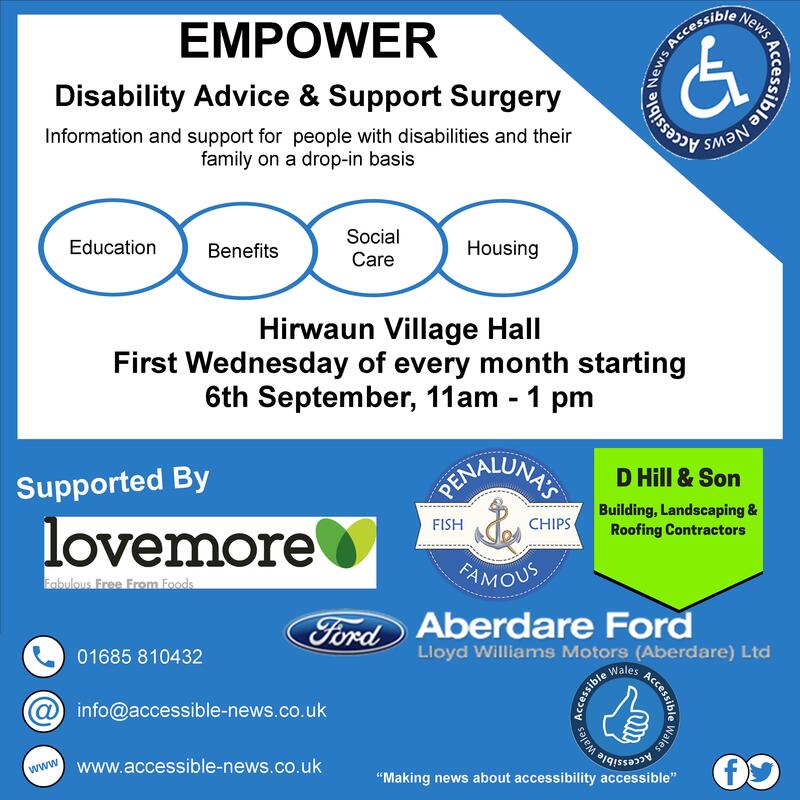 The surgery will be based in Hirwaun Village Hall and be operated by volunteers on a drop-in basis. Sessions will be held the first Wednesday every month starting Wednesday 6th September 2017 11am – 1pm. 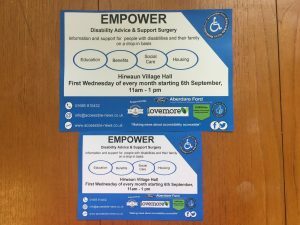 Empower will offer a valuable service to the community helping people who may not have the support of exiting support services which are already overstretched due to pressures imposed from austerity measures. This service has been brought to the community thanks to great donations from our sponsors Penaluna’s Famous Fish and Chips , D Hill and Son Building and Landscaping , Welsh Hills Bakery and Aberdare Ford . The kind donations received from the four sponsors have guaranteed this free service for six months. 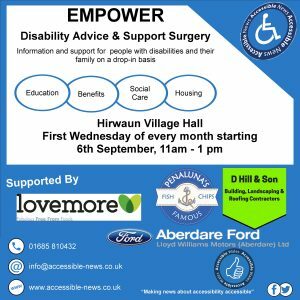 Accessible News is also on facebook and twitter .